Corning Axygen PlateMax HS1120 Semi-Auto Plate Microplate Sealer . New Life Scientific, Inc.
Fully-functional and ready for your lab, our Corning/Axygen PlateMax plate sealer was examined and deemed in working order by our technician. Its compact size and easy three-step operation make this the ideal microplate sealer for any small to midsize lab. 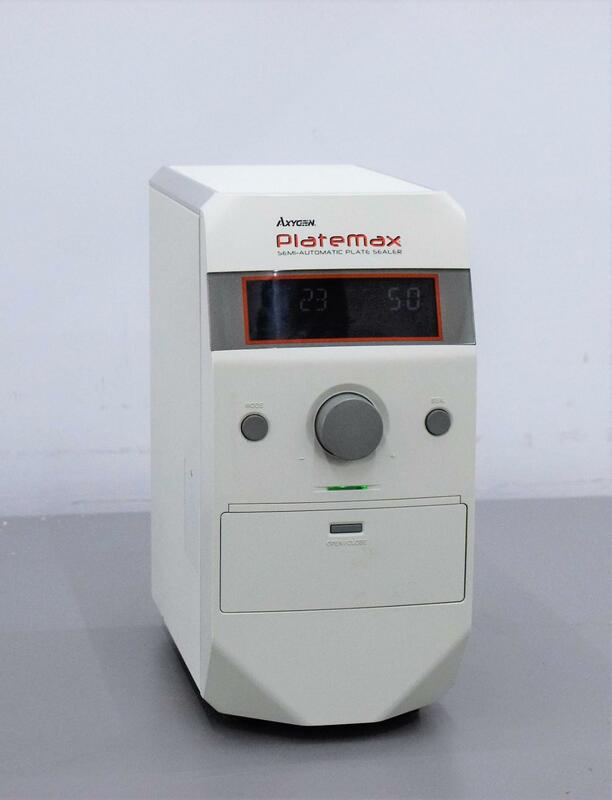 The PlateMax HS1120 was engineered to support a wide variety of configurations. the various instruments we receive. Note: The sealing frame to this instrument is missing. It will still function properly, but will have a higher rate of misseals.